Lingering elbow pain can make it difficult to perform even the simplest daily tasks. Whether your elbow pain has been flaring up for a long time, or you recently suffered an acute injury, Leon E. Popovitz, MD, and the team of top elbow surgeons at New York Bone & Joint Specialists can help. 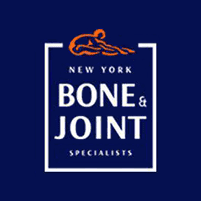 With locations in the Upper East Side and Midtown West neighborhoods of Manhattan, visiting the specialists at New York Bone & Joint is easy. Click on the online scheduler to book your exam, or call your nearest office directly. Why should I see an elbow surgeon? Your elbow is a hinge joint where your humerus, ulna, and radius meet. Multiple ligaments, tendons, and muscles also help you bend and move your elbow joint. Because all of those components work together, if one of them becomes damaged or injured, your entire elbow joint is affected and can begin to hurt. It’s also important to see a specialized orthopedic surgeon if your elbow discomfort is having an impact on your quality of life. For instance, if you’re experiencing pain that keeps you up at night, you should have your elbow evaluated. Without proper treatment, a seemingly minor elbow issue can quickly turn into something more serious. If you have a complete fracture, tendon or ligament tear, or an injury that isn’t healing, it might be time to consider elbow surgery. Do I need surgery for an elbow injury? New York Bone & Joint Specialists is home to the best elbow surgeons in NYC, so you can feel confident that you’ll get the care you need. They can perform most elbow surgeries using minimally invasive arthroscopic techniques to ensure a quicker recovery time. Book your exam with New York Bone & Joint Specialists today by using the online scheduler or calling your nearest office.